"Like film actors, Rahul is fond of reading written scripts. He does not have knowledge of history and geography of India," said Giriraj Singh. Ballia: Union Minister Giriraj Singh today targeted Rahul Gandhi claiming the Congress Vice President did not have knowledge of the history or geography of the country and was only fond of reading scripts. The UP state Congress reacted sharply to his comments alleging that since no development was visible during the BJP rule, its leaders were making "absurd" statements. "Like film actors, Rahul is fond of reading written scripts. He does not have knowledge of history and geography of India," Mr Singh, the minister of state for micro, small and medium enterprises, told reporters. The BJP leader, known for making controversial remarks, also claimed that a Ram Temple will be constructed in Ayodhya. "It will be constructed 200 per cent. Hindus and Muslims will jointly build it. The ancestors of both are the same though religion has changed," he said responding to a question. 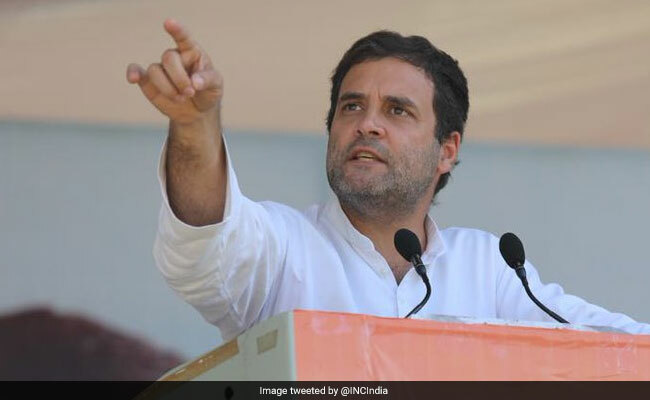 Mr Singh claimed that the opposition did not have any issues left and accused Rahul Gandhi of falsely claiming in foreign countries that job opportunities had decreased in the country. "The reality is that under the PM Mudra scheme, 9 crore persons have got jobs," he said. Attacking the Congress, he said if the party's policies had been good, its base would not have shrunk. 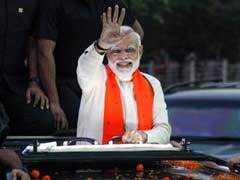 "If the policies of Congress, which ruled the country for over 60 years, had been good, why would it have got reduced to 20 per cent of the area when the BJP has spread in 75 per cent of the area," he said. Mr Singh referred to Prime Minister Narendra Modi's "Na khaunga na khane dunga" (Won't indulge in corruption nor will I allow anyone) remark and claimed that the past three years had proved this. When asked about the minister's comments on Rahul Gandhi, Congress leader and spokesman Devendra Pratap Singh said that the "tall claims" of BJP stand exposed as there was no development palpable anywhere due to which its leaders were making absurd statements. "People are fast losing trust in the BJP. It will be visible in the next elections when people will give them a befitting reply for their misdeeds," the Congress leader said.